This committee will put on an annual program. 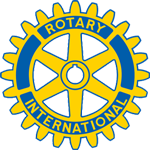 They will present a case study of problems/challenges facing Rotarians in their professions or community activities. The case study includes ideas to help them solve those problems and challenges. Club members are selected to speak for about 10 minutes on their personal histories and occupations. These programs are always very well received by the club and help our members to become better acquainted and informed. Expert Panels of members and guests will be assembled to address particular subjects of common interest to the members. Rotarians conduct mock job interviews and discuss portfolios of student's work at Marilia Jr. High School as a graduation requirement for 8th graders. .
Local professionals speak to young people about the importance of saving and developing healthy financial habits. This award is given to a non-Rotarian business owner in the Ojai Valley who exhibits high ethical standards in his or her professional and personal life.